The Deborah Conference is a global boutique conference founded in 2016 by Maree Cutler-Naroba Dream Nurturer, Business Strategist, Writer and Child Protection Advocate to inspire Christian Women Entrepreneurs to live a business life of passionate pursuit and purpose wrapped in His presence. The inaugural Deborah Conference was held in Adelaide and the theme was ‘My Mission Field is my Business’. The theme for the 2017 Brisbane Conference was ‘Release the words He has given you to write and speak’ and the theme for the 2018 Melbourne Conference was ‘Profit for Purpose.’. In 2019 our conference theme is A CALL TO INNOVATE. While we may not find this exact word in Scripture, the Bible is packed with examples of innovation. From God forming the earth out of nothing (Genesis 1) to Solomon building the temple (1 Kings 6) and the counter-cultural lifestyle of the early Church (Acts 2), God has been calling his people to introduce new — often disruptive — ideas and ways of living for thousands of years. Innovation is using our gifts and talents to bring about new ideas and way of thinking and working. Innovation should be intricately woven into our spiritual lives in Christ. In the words of Michelangelo, the great artist: “I saw the angel in the marble and carved until I set him free.” He saw what he could get out of an ordinary piece of marble, which everyone else thought was just a stone with no value. From that same stone, he went ahead to create the famous statue of David. #TDC19 will have content-rich practical sessions – the hallmark of all the TDC conferences; sessions which focus around the 5+U PILLARS of Business (Strategy, Marketing, Legal Matters, HR & Operations, Finances and You the Owner) built on the firm FOUNDATION of CHRIST. For me being a God-lover means walking in relationship with God – taking time to pray, to read His Word, and to acknowledge Him in what I do. God is for us and not against us.This conference is not about sitting around in a huddle holding hands and singing Kumbaya my Lord! No, this conference is about setting our focus on how we can grow our businesses through powerful strategies from digital marketing and number crunching through to networking and powerful praying. This conference is jam-packed with practical and actionable steps to take your business to the next level. The Conference Ticket price includes: Morning Tea, Lunch and early evening Cocktail FingerFood. The Conference day runs from 9.00am to 4.30pm followed by the early evening MIghty Deborahs ‘Connect and Reflect’ session from 5pm to 6.30pm. Gals I look forward to hosting you at TDC Perth! See you there! The Deborah Conference was BRILLIANT. So good to experience an event with so many women sharing their incredible stories and their special business tips. Super practical and very relevant. Conference ticket includes: Morning Tea, Lunch and Cocktail Finger Food event. The Conference day component runs from 9.00am to 4.30pm and the early evening Connect and Reflect session goes from 5.00pm to 6.30pm. 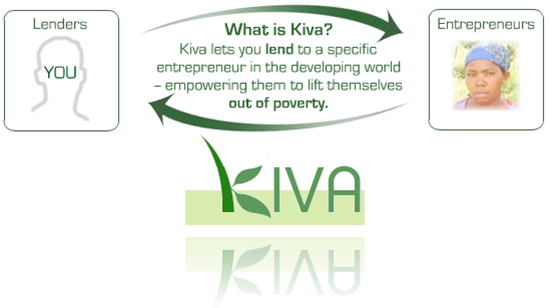 A portion of the ticket sales will be used as a donation to women entrepreneurs in third world countries, through www.kiva.org/lend/women.